The fishing club at Camp Harbor View is fantastic to say the least. The kids in the club are hilarious and certainly hand out their fair share of good-natured ribbing, but they also have a deep interest in the things that my team and I are able to teach them. Despite our short time together, a number of them have already learned the knots necessary to set up their own fishing equipment- the most difficult and important skill for any fisherman. On Wednesday we found a dead skate that had washed up on the beach at the camp, a fortunate turn of events, as I was unable to obtain fresh bait that morning. I was surprised at how many of the kids were excited to poke and prod the spiny skin. 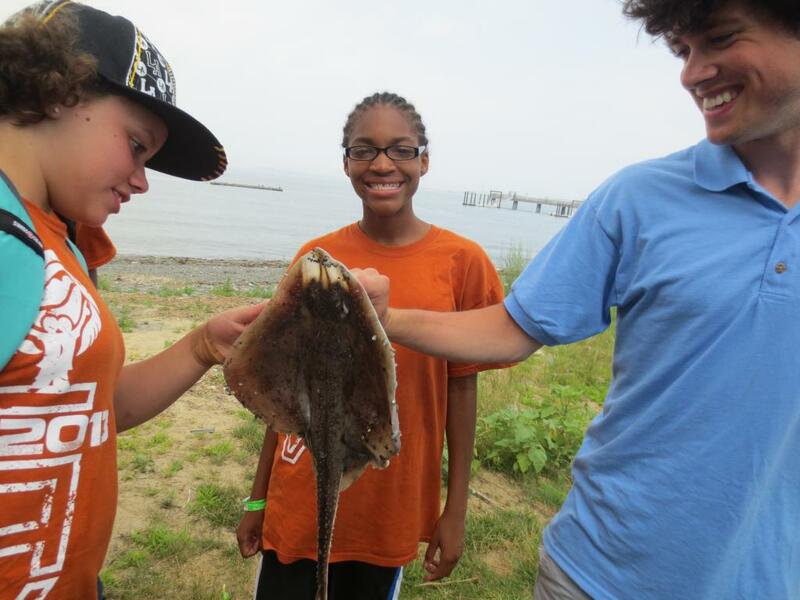 After giving a brief discussion about the physical characteristics and behavioral traits of the skate we sliced off the fins, which had yet to be eaten by crabs, to use as bait for the remainder of the period. While we have yet to catch any fish, the kids still seem to be enjoying the time with the rods in their hands, and they still get excited when they lift their bait out of the water to find a large green crab jealously holding onto their bait. Unfortunately the club members will be switched for next week- just I feel that I am just getting to know them on a more personal level. I am thrilled to say that a number of those currently in the club will be coming back, and I am sure that the new additions will be equally as fun and engaged.